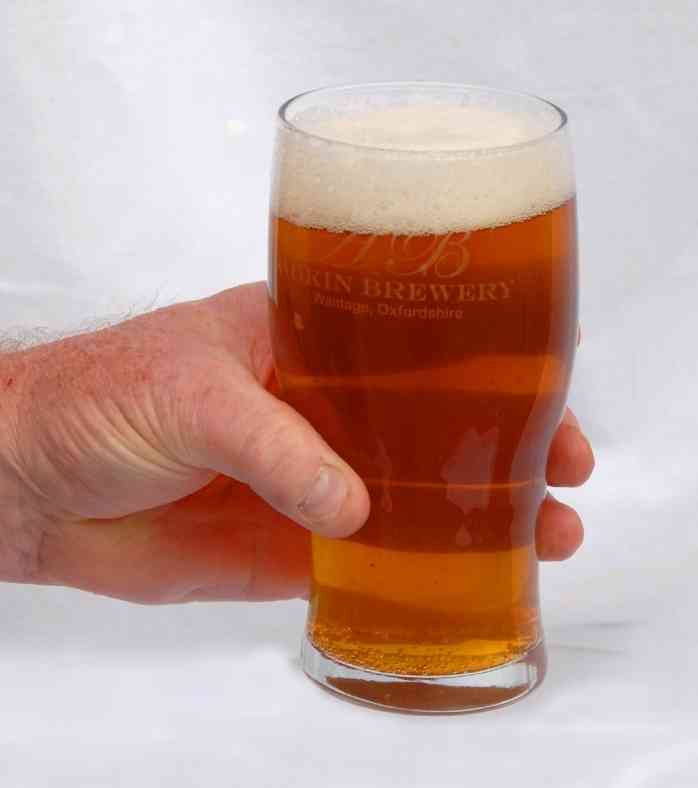 The Adkin Brewery has received a mention in the Winter 2008 edition of 'Beer on Tap' – The Newsletter of the the North Oxfordshire Branch of CAMRA. In her review of The Oxford Beer Festival 16th - 18th October 2009, featured on page thirteen of the magazine, Andrea Isham writes; "
"Two favourite ales of the festival for us were from Oxon brewers - Butlers (Mapledurham) B.O.B, only 3.6% but full of flavour and hops; the other was Adkin (Wantage) Alfred's Jewel 4% another pale, great tasting hoppy beer." The Adkin Brewery has a mention yet again in the 16th October issue of the Oxford Mail. In an interview with Oxford CAMRA Chairman Matt Bullock, Journalist George Hamilton asks; "I want to drink locally brewed beers – what do you suggest?" Matt Bullock replies; "We have beers from several Oxfordshire breweries - Adkin, Appleford, Best Mates, Brakespear, Burford, Butlers, Hook Norton, Loddon, Old Bog, Ridgeway, White Horse and Wychwood." They are just some of more than 130 real ales which will tempt drinkers at the 10th Oxford Beer Festival. About 2,500 people are expected to attend this year's festival, which runs until 11pm on Saturday. Organisers have ordered 160 firkins of ale - holding a grand total of 11,520 pints - ahead of the event. More than 20 types of British cider and perry and a selection of Continental lagers will also be available for discerning drinkers. Matt Bullock, social secretary for the Oxford branch of the Campaign For Real Ale (Camra), said: "We will have the biggest choice of beers in Oxford by some distance. "We have got a lot of new brewers this year. One of the brewers only started in September. We have representatives from all the breweries in Oxfordshire. The quality of the beer is very good. We do not have live music – if you come to the beer festival you will find it is so noisy and lively we don't need it." The strongest tipple on the menu is Last Rites, a golden beer with toffee undertones which packs a heavy 11 per cent alcohol punch. Other brews include No Escape, a dark, spicy beer, and the vanilla-flavoured Packet Punch. The festival runs from 5pm to 11pm on Thursday, and from 11am to 11pm on Friday and Saturday. Entry costs £2.50 and sandwiches and other snacks are available. John Mackie, pubs officer for Oxford Camra, said he expected to see a number of 'tickers' at the festival – real ale fanatics who want to be the first to sample new brews. He said: "The atmosphere is always excellent - everybody enjoys themselves. The town hall is a superb venue, because it has got the large concert hall area and a smaller room, which is very good for a family room. Come and enjoy it – you will want to come again." Alfred's Conflict Of Interest, 4.6 per cent alcohol, from Adkin brewery, in Wantage: "A premium golden ale, triple hopped for spicy hop flavour." Gloucestershire's Glory, 4.1 per cent, from Cotswold Spring, in Chipping Sodbury: "A golden beer with a distinctive citrus hop nose, mouth-filling malt and fruit, and a deep dry finish." Hobson's Mild, 3.2 per cent, from Shropshire: "Camra's Champion Beer of Britain 2007, a classic roasted malt mild, bursting with flavour and a deserving winner." Dark Ruby Mild, 6.0 per cent, from the Sarah Hughes brewery in Sedgley, West Midlands: "Strong ruby ale with good balance of fruit and hops, a classic of the original strong mild style from the Black Country. Treat with respect." Stanney Bitter, 4.5 per cent, from Stanway in Gloucestershire: "Perhaps the most bitter beer you will taste – dry and very moreish." From the archive, first published Tuesday 27th Mar 2007 . NIPPING out for a pint took on a new meaning for drinking partners Frank McKinstry and Matt Drummond. Lancashire lads Mr McKinstry, of Bolton , and Mr Drummond, from Preston , caught an early morning train to start a 350-mile round trip to visit Banbury Beer Festival. The two men work together for Northern Rail and share a common interest in real ale. Both are the Campaign for Real Ale. It was their second visit to Banbury's annual beer festival, held at the Territorial Army barracks on Oxford Road on Friday of last week. The duo made the journey last year and enjoyed it so much they vowed to make it a yearly pilgrimage. Mr McKinstry said: "Everyone here is so friendly and the atmosphere is great. It might seem a long way to come but it's worth it to find something so enjoyable. And we will be back next year, that's definite." Mr Drummond said: "During the day, we'll probably get through ten or 12 pints. That might sound a lot but it's not bad spread over eight or nine hours. The festival seems bigger this year than last, and our favourite beer so far is Adkin’s Ale, brewed in Wantage." The festival, which was opened by James Clarke, chairman of Hook Norton Brewery, ran for three days. This year it celebrated 300 years of the Act of Union between England and Scotland and the 80 beers on offer included 25 from Scottish breweries. Mr McKinstry said: "I've got a Scottish background and it is good to see so many beers from north of the border. Many people associate Scotland with whisky and do not realise the Scots have a proud tradition of brewing beer." Mark Bates, chairman of the north Oxfordshire branch of CAMRA, said: "This was the seventh annual Banbury festival and a lot of research went into organising the event - making sure we had the right selection of beers - and a large choice of ciders and perries. Over the three days we had more than 1,100 customers who drank just over 3,800 pints of beer and cider." 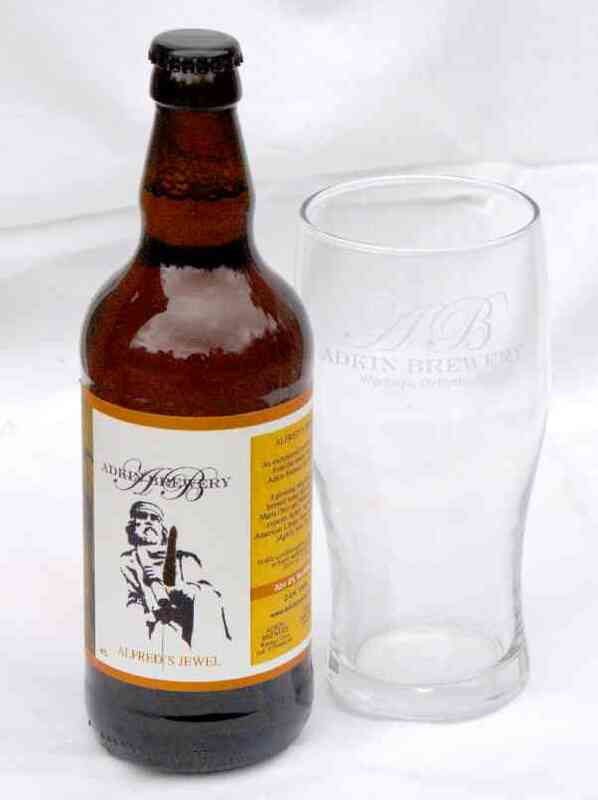 Shaun Cunningham, who brews Adkin’s Ale – named it after the road in which he lives – said: "I'm pleased they liked my beer. I've been brewing for six years, and has no plans to expand and supply pubs. I'm happy knowing people enjoy what I brew."